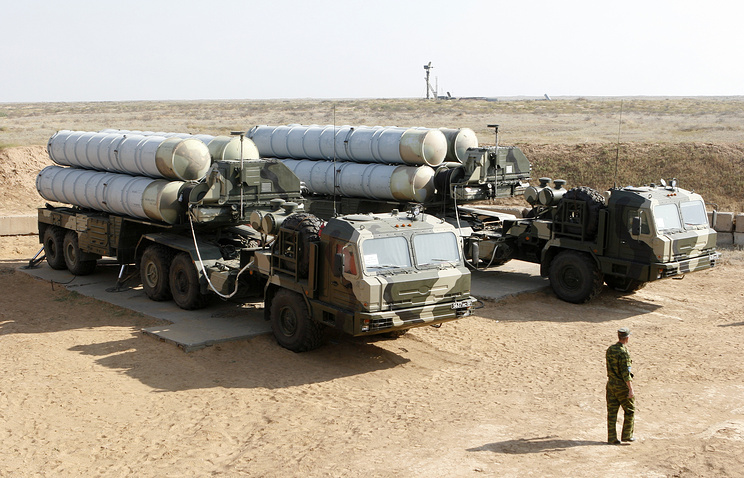 Russia sees no obstacles to delivering its S-400 air defense systems to Turkey in connection with Ankara’s membership in NATO, Russian Presidential Aide for Military-Technical Cooperation Vladimir Kozhin said Thursday. MOSCOW Russia’s Rostech CEO Sergei Chemezov earlier confirmed that Moscow and Ankara were in talks on deliveries of S-400 air defense systems to Turkey. “Negotiations with Turkey on the subject of the deliveries of S-400 are underway, they [Turkey] are very interested. Yes, Turkey is a NATO member, I must say that we are not afraid [to supply Turkey with S-400]. Before we deliver anything, we firmly regulate the results of intellectual activity. And each party undertakes commitments determining what it has the right to do with the delivered weapons, and what it cannot do,” Kozhin told Rossiya 24 broadcaster answering a corresponding question. Earlier, Turkish Defense Minister Fikri Işık said that Ankara will not integrate S-400 it plans to buy from Russia into NATO missile defense system.The S-400 is Russia’s next-generation air defense system, carrying three different types of missiles capable of destroying aerial targets at a short-to-extremely-long range. The weapon is capable of tracking and destroying all existing aerial targets, including ballistics and cruise missiles. “The Russian S-400 system will not be integrated into NATO missile defense system,” Işık said. On Wednesday, Turkish Defense Minister said that Ankara and Moscow made certain progress in talks on delivery of Russian-made S-400 air defense systems to Turkey, but the sides are still not ready to strike a deal.Russia’s Rostech CEO Sergei Chemezov earlier confirmed that Moscow and Ankara were in talks on deliveries of S-400 air defense systems to Turkey. The S-400 is Russia’s next-generation air defense system, carrying three different types of missiles capable of destroying aerial targets at a short-to-extremely-long range. The weapon is capable of tracking and destroying all existing aerial targets, including ballistics and cruise missiles. Ankara is still considering the purchase of Russia’s advanced S-400 missile systems as part of the effort to boost Turkey’s missile defense, Turkish Ambassador to Russia Huseyin Dirioz said Monday. Russia’s Rostech CEO Sergei Chemezov earlier confirmed that Moscow and Ankara were in talks on deliveries of S-400 air defense systems to Turkey. “Turkey is considering various options for its missile defenses, including the S-400, but no decision has been made yet,” Dirioz said. The S-400 is Russia’s next-generation air defense system, carrying three different types of missiles capable of destroying aerial targets at a short-to-extremely-long range. The weapon is capable of tracking and destroying all existing aerial targets, including ballistics and cruise missiles. The Russian task force in Syria has created a unified air defense network using advanced S-300 and S-400 “Triumf” surface-to-air missile systems, which can reliably defend the nation against aerial attacks both on land and at sea, commander of the Russian military group in the country Col. Gen. Andrei Kartapolov said on Friday. “A unified air defense system that provides reliable protection both on land and at sea has been created jointly with Russian troops in Syria’s air defense forces using modern S-300 and S-400 systems,” he said. The commander added that close interoperability was established between the system set up by the Russian Aerospace Forces and the country’s own Bastion coastal defense systems. ‘In October 2016, the Russian Defense Ministry said a battery of S-300 air defense systems had been delivered to Syria to protect a naval facility in the port of Tartus as well as protect Russian warships deployed off the Syrian coast. 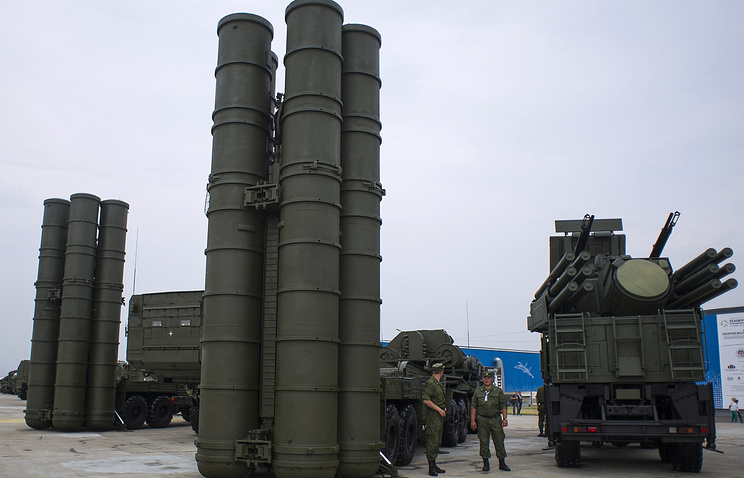 The Russian-Turkish intergovernmental commission will soon broach the issue of delivering S-400 Triumf air-defense systems to Ankara. LISBON. The issue of the S-400 Triumf air-defense systems’ deliveries to Turkey will be discussed at a meeting of the Russian-Turkish intergovernmental commission to be held in the near future in Russia, Alexander Fomin, the director of the Russian Federal Service for Military-Technical Cooperation (FSMTC), said. “In the near future, a meeting of the intergovernmental commission will be held in Russia,” Fomin told reporters. Answering a follow-up question, he confirmed that the issue of the S-400 systems’ deliveries could be discussed at the meeting. ANKARA, November 18. /TASS/. Turkish Defense Minister Fikri Isik has said that Ankara is in talks with Moscow regarding the purchase of S-400 air defense systems. He made the statement when asked about Turkey’s plans for building up its air defense potential. “We are conducting talks with Russia over the S-400s. But we also go ahead with contacts with other countries on this issue. Russia’s stance is positive,” he said. “But this does not mean that we will ignore Russia’s proposals. We are pushing ahead with pro-active work (with Russia – TASS) in this direction. Our ultimate goal is to start producing these systems on our own,” Isik said.